I’m not used to being the one in front of the camera and answering all the questions, but I was honored and flattered to be featured on Wear Your Voice. Thank you to Nina(one of the earliest T&P followers) for featuring me. 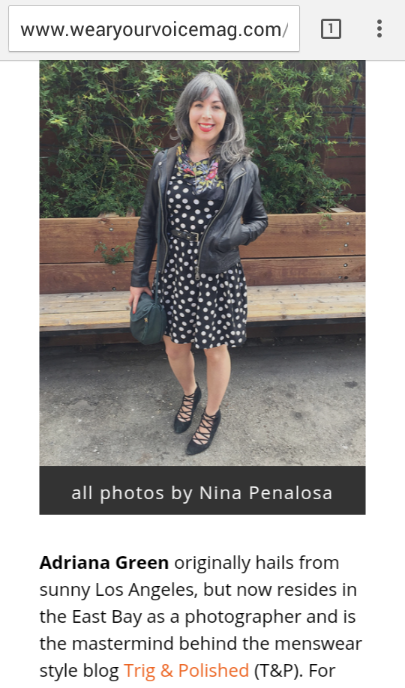 Check out the article for my recommendations on where to shop in the Bay area. Also take a look at the rest of the online magazine. Lots of interesting stuff!